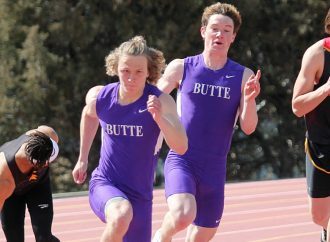 BOZEMAN — Butte High swimmers will be hunting for gold Saturday at the Bozeman Swim Center. 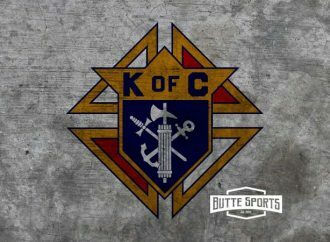 Catherine Russo and Zach Johnson of Butte High will swim for individual golds, while Anna Trudnowski, Kallie Hossack, Devin Amtmann, Russo, Max Holdsworth, Coby Cashell, Thad Holdsworth and Johnson will swim for medals in the relays. Those swimmers qualified for the finals in their events Friday during the first day of the state swimming meet. Russo, a junior, qualified with the top times in the 50-yard freestyle and 100-yard butterfly. She is the two-time defending state champion in both events. 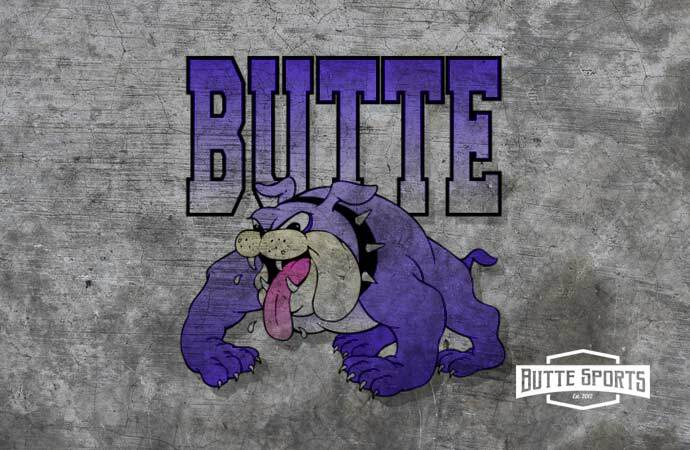 Trudnowski, Hossack, Amtmann and Russo make up Butte High’s 200- and 400-yard freestyle girls’ relay teams. They qualified sixth in both events, and have clinched All-State honors. All-State recognition goes to the top six in each event. Those who swim in the consolation finals will place seventh through 12th and score team points. Trudnowski will compete in the consolation finals in the 100 freestyle and 100 backstroke. She is sitting ninth and 11th in those events. Johnson, a senior, qualified for the finals in the 50 and 100 freestyle races. He qualified second in the 50 and third in the 100. Max Holdsworth, Cashell, Thad Holdsworth, and Zach Johnson made finals at No. 6 in the 200 freestyle relay. Max Holdsworth, a junior, qualified in the 50 freestyle and the 200 freestyle. He is sitting 11th and 12th in those events. Evan Zundel, Johnson, Max Holdsworth and That Holdsworth qualified No. 10 and will swim in the consolation final in the 200 medley relay. Saturday’s action is set to begin at 11 a.m.
A SO, Durnell, Abby G FR, Lorang, Kyleigh L FR, Downard, Andrea SR), 2:19.20. Anna F JR, Turella, Claudia JR, Stefanik, Bree SO, Lund, Megan SO), 2:19.89.
, Imperato, Ahauna ), DQ. Hannah SR, Ritchie, Hanna SO, Anderson, Ashley JR, Saban, Lisa SO), 2:30.80. Jayna JR, Caldwell, Azlyn FR), 2:35.12. Miguel SR, Nedens, Dalton FR), 2:15.52. Sheridan, Samantha M, West, 2:10.12. 11, Turnquist, Bryn E, Senior, 2:11.75. Toree, Skyview, 3:08.19. –, Myers, Jenna M, Flathead, DQ. 1, Keyes, Sawyer J, Hellgate, 1:47.60. 2, Moe, Jackson B, Sentinel, 1:50.43. Cichon, Nick, Bozeman, 2:05.87. 19, Christianson, Gary G, Flathead, 2:06.60. 2:20.71. 28, Fee, Gabe, Glacier, 2:24.53. 29, Hurt, Joseph, Skyview, 2:44.94. 30, Lyda, Gabe, Skyview, 2:55.31. 31, Espeseth, Griffin L, Glacier, 3:08.82. 32, Leonard, Nolan, Skyview, 3:32.11. –, Bunn, Avery, Skyview, DQ. 1, Leuthold, Jack M, Central, 1:49.43. 2, Horrell, Michael, Central, 1:59.25. 1, McKinney, Erin E, Bozeman, 2:14.55. 2, Smart, Gabby S, Hellgate, 2:17.17. Hansen, Helena, Bozeman, 2:35.98. 17, Carroll, Maddie G, Rustlers, 2:37.03. Barret, Flathead, 3:18.95. –, Vornbrock, Lauryn, Glacier, DQ. High, 2:45.26. 5, Pratt, Aria, Havre, 2:54.36. 6, Wood, Cora, Hardin, 2:54.75. McMahon, Liam M, Hellgate, 2:21.46. 19, Kittleson, Jake A, Rustlers, 2:21.69. 20, McNamee, Cameron M, Bison, 2:28.53. 21, Galindo, Sam C, Bozeman, 2:28.92. 22, Smith, Everett, Hellgate, 2:29.38. –, French, Isaiah, Senior, DQ. Graham, Central, 2:40.03. –, Nedens, Dalton, Hardin, DQ. 25.89. 7, Craig, Anya M, Hellgate, 25.97. 8, Geier, Maija E, Capital, 26.00. Clague, Katie, Butte Bulldogs, 29.90. 30, Orendorff, Johannah, Skyview, 29.97. Caleigh R, Big Sky/Loyola, 36.77. Nathalia, Cfalls High, DQ. –, Millholen, Alexa, Cfalls High, DQ. 22.92. 5, Moser, Jack R, Bozeman, 23.06. 6, Amon, Lyndon L, Hellgate, 23.11. 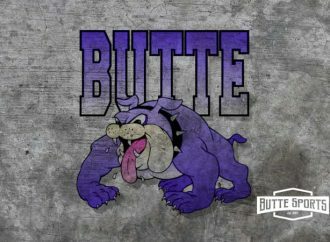 Holdsworth, Max, Butte Bulldogs, 24.33. 12, Barker, Alex T, Capital, 24.35. Demaray, Logan, Skyview, 29.19. 44, Horton, Riley C, Big Sky/Loyola, 29.36. Smith, Colin, Cfalls High, 34.32. –, Bartholomew, Jordan, Central, DQ. Stevens, Louis D, Bozeman, 58.69. 12, Harrington, Hunter R, Hellgate, 59.59. 1:12.16. –, Cammon, Hiram, Havre, DQ. –, Alden, Everette, Hardin, DQ. 1, Berkoff, Katharine F, Hellgate, 50.76. 2, Milner, Lily G, Flathead, 53.79. 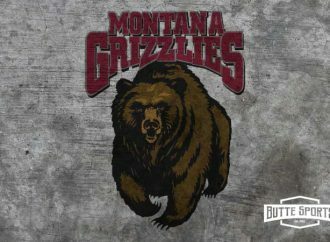 Trudnowski, Anna E, Butte Bulldogs, 57.93. 10, Pachek, Ava M, Bison, 58.37. 11, Turnquist, Bryn E, Senior, 59.26. 12, Thorne, Taylor S, Hellgate, 59.92. Colebank, Lexi M, West, 1:06.53. 25, Orendorff, Johannah, Skyview, 1:07.86. 26, Cleveland, Emily, Glacier, 1:08.21. 27, Ross, Breanne, Senior, 1:08.27. 28, Logan, Alyssa, Skyview, 1:08.51. 29, Haslam, Layne X, Sentinel, 1:09.11. Dillavou, Caleigh R, Big Sky/Loyola, 1:25.83. 1:01.76. 5, Miller, Megan, Havre, 1:01.92. 6, Meyer, Blayne, Central, 1:02.59. 49.57. 5, Herzog, Mark T, Hellgate, 51.27. 6, Moe, Jackson B, Sentinel, 51.50. Honcoop, Jacob, Central, 1:00.65. 10, Dicks, Aaron, Whitefish High, 1:01.09. 11, Black, Bain, Whitefish High, 1:01.51. 12, Lopez, Miguel, Hardin, 1:01.66. DQ. –, Alden, Everette, Hardin, DQ. Read, Regan, Helena HS, 6:34.20. 25, Kautzman, Lexie, Butte Bulldogs, 6:34.86. 26, Lorang, Kyleigh L, Bison, 6:35.08. 27, Andersen, Megan, Glacier, 6:37.69. 28, Flynn, Aida E, Hellgate, 6:41.36. 29, Baretta, Isabel R, Senior, 6:48.27. 30, Downard, Andrea, Bison, 6:51.01. 31, Brennan, Hannah, Rustlers, 7:04.07. 32, Despain, Audrey, Glacier, 7:10.86. 33, Lockart, Katrina, Bison, 7:16.36. 34, Leavell, Kayla R, Sentinel, 7:19.40. 35, Carr, Grace E, Senior, 7:22.36. 36, Hauser, Sarah M, Sentinel, 8:47.22. Lacey, Havre, 7:38.68. 15, Wells, Darby, Hardin, 7:38.82. 7:09.92. 23, Franich, Cruz, Skyview, 7:13.91. –, Fee, Gabe, Glacier, DQ. 6:56.06. 11, Takes Enemy, Alduran, Hardin, 7:22.88. Maddy SR, Moultray, Shai SR), 2:14.43. Hirning, Ben SO, Horton, Riley C JR, Knight, Caden R SO), 1:57.60. Dicks, Kelvin JR, Ring, Preston A JR), DQ. 1, Berkoff, Katharine F, Hellgate, 55.09. 2, Condit, Aidan G, Hellgate, 59.48. Tessa H, Bozeman, 1:05.12. 11, Trudnowski, Anna E, Butte Bulldogs, 1:07.23. 12, Huynh, Quan T, West, 1:10.17. 13, Trevelline, Eleana M, Sentinel, 1:10.33. 14, Bentz, Maria I, Senior, 1:11.02. 15, Banks, Shelby S, Rustlers, 1:11.12. O’Donnell, Hanna B, Skyview, 1:13.11. 19, Parker, Olivia F, Skyview, 1:15.05. 20, Kurkowski, Kaylee, Flathead, 1:16.01. 21, Barry, Jade, Flathead, 1:16.59. 1, Anderson, Katelyn N, Central, 1:10.17. 2, Kunz, Riley S, Central, 1:11.25. 1:12.27. 5, Lunak, Hannah, Havre, 1:14.67. 6, Osborn, Ashlee, Hardin, 1:17.91. Azlyn, Cfalls High, 1:34.85. 19, Hartig, Maya, Bigfork, 2:12.62. 1, Apostol, Bennett B, Central, 1:01.53. 2, Herrera, Caven, Hardin, 1:03.24. Walks Over Ice, Wynn, Central, 1:18.88. 10, Cummins, Caiden, Hardin, 1:23.42. Koester, Reese, Glacier, 1:42.17. –, Maasch, Cheyenne R, West, DQ. DQ. –, Fink, Ava, Central, DQ. Morin, Theo M, Big Sky/Loyola, 1:05.62. 10, DeGraw, Aeden E, Bozeman, 1:07.20. 11, Evans, William J, Bison, 1:07.26. 12, Vince, Ben B, Helena HS, 1:07.35. Scala, Caleb, Bozeman, 1:13.64. 20, Strobbe-Barry, Ayden C, Flathead, 1:14.71. 1:23.05. 11, Jewett, Dylan, Central, 1:38.92. –, Cummins, Caiden, Hardin, DQ. Colebank, Lexi M 10, Christensen, Kate E 12, Garland, Madison N ), 4:16.23. (Milner, Lily G , Tanko, Lily , Pyron, Kendall , Pieri, Hannah A ), 4:23.27. Keyanna SO, Hansen, Veronica JR), 4:25.38. Kalista JR, Saban, Lisa SO), 5:19.10.